Swordsman, soldier, poet . . . and possessor of the biggest nose in all of France! Cyrano de Bergerac was all this and more, for behind his grotesque face beat the heart of a lover. And, being Cyrano, who could he fall in love with but the most beautiful woman in Paris? 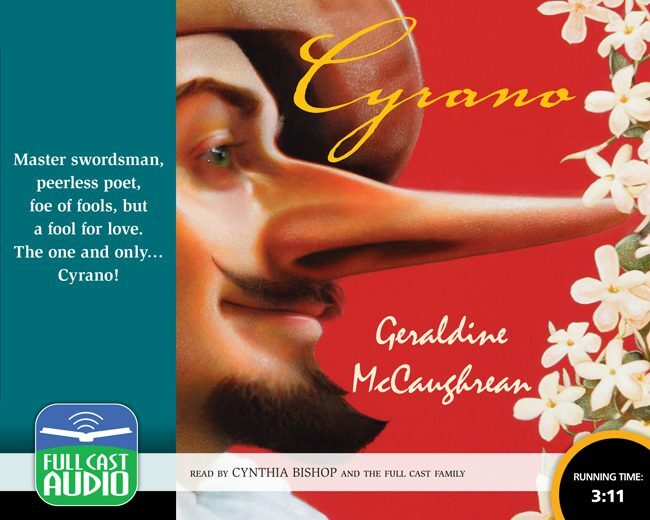 From this conflict of nose versus heart springs one of the most uproarious, tender, funny, painful, and action-packed stories of all time – a tale that has its roots in truth, for Cyrano de Bergerac really existed. Working from Edmond Rostand’s beloved play, Geraldine McCaughrean has transformed the tale into muscular prose that shimmers with turns of phrase Cyrano himself would have admired, offering us a thrilling new way to experience the power and passion, the humor and heartbreak, of one of the most beloved stories of all time.